A public memorial has been announced in memory of murdered rapper XXXTentacion. The service, scheduled for Wednesday at the Florida Panther’s Stadium, will give fans a chance to say their “final goodbyes,” according to a post on the late musician’s Instagram page. It comes as further details of the 20-year-old’s death have emerged. Court documents seen by The New York Times state that the singer’s last movements were tracked before he became the victim of an armed robbery. 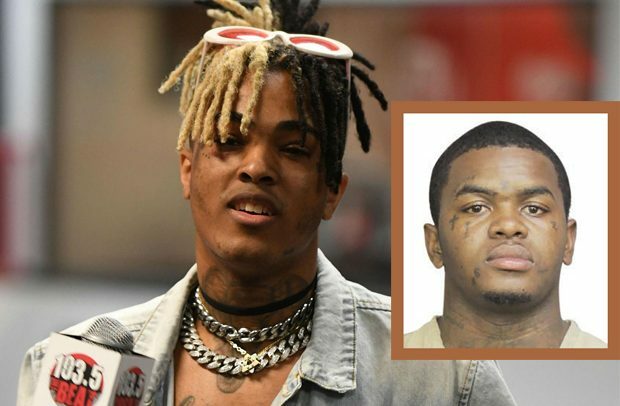 A sworn statement from detective John Curcio of the Broward Sheriff’s Office, describes two men appearing to trace the rapper, real name Jahseh Onfroy, by car and foot prior to his murder. Detective Curcio says the pair initially followed XXXTentacion and an unidentified friend into a motorsports store in Deerfield Beach at 15:30 local time (20:30 BST). One of these assailants – wearing a white tank top and bright orange sandals – then bought a mask in the store, according to the statement. The men subsequently exited together and moved their car to the north gate of the parking lot where XXXTentacion’s BMW was located, blocking him in at 15:55 local time (20:55 BST). Masked and armed, the two men stepped out of the car and “demanded property,” Detective Curcio states. “After a brief struggle, the victim is shot,” the statement, dated 19 June, reads. The men are then alleged to have removed a bag from XXXTentacion’s car, then driving off. Dedrick Devonshay Williams has been arrested in connection with the murder of the rapper. He was arrested after recent posts on his Instagram feed showed him wearing “the same or similar bright orange sandals” as those seen in the footage, the official documents say. It also states that employees at the motorsports store also identified Mr Williams from photographs. Mr Williams, who faces a first-degree murder charge, was held without bond after a hearing on Thursday and is scheduled to appear before a criminal court judge on Monday. XXXTentacion’s memorial will be held at the 20,000 capacity stadium and will feature an open-casket viewing, according to the rapper’s lawyer, J David Bogenschutz. The Instagram post announcing the six-hour memorial describes it as the “last chance to see him”. An earlier impromptu memorial held by fans was shut down by police. Often described as one of rap’s most controversial artists, XXXTentacion quickly rose to fame with two hit albums – ‘17’ and ‘?’, both of which have re-entered the US charts since his murder. He was facing domestic violence charges at the time of his death.